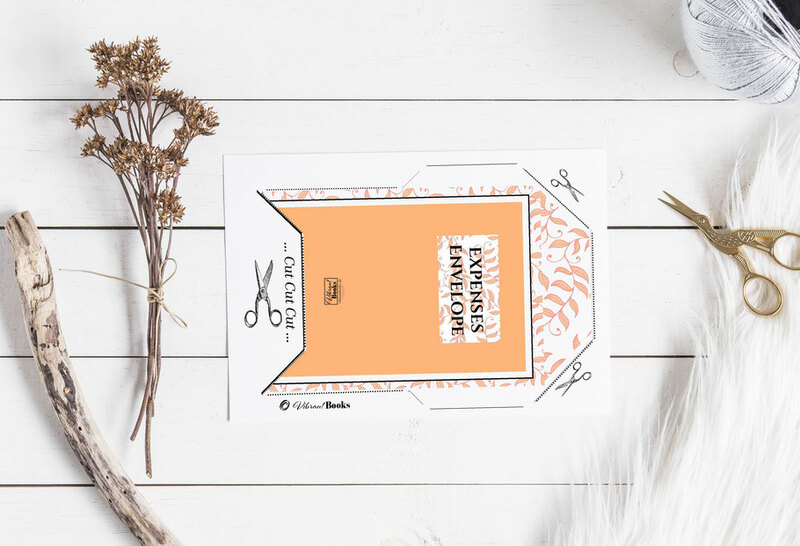 Diy this 'expenses envelope' and keep it close to your wallet while shopping. 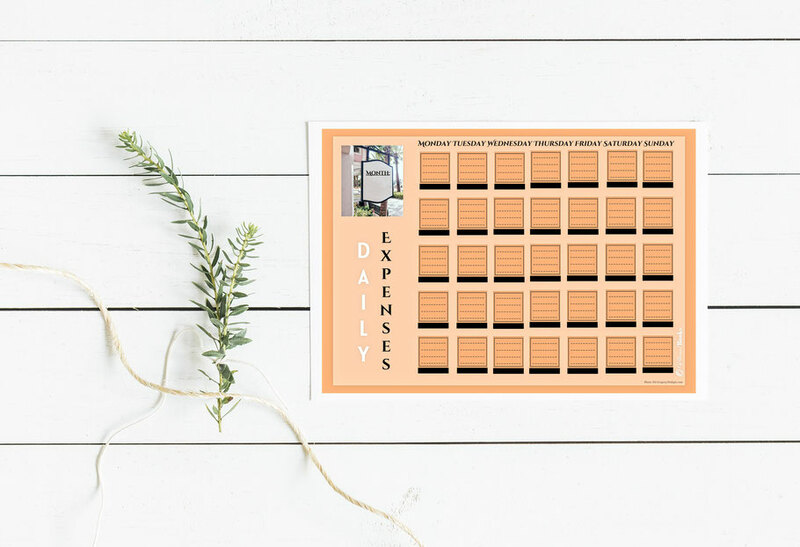 Then transfer the bills to the "Daily Expenses Sheet" (next image). Scroll down this page and you will find the download. An monthly outline - plus space for the yearly costs of gifts, online payments and others. 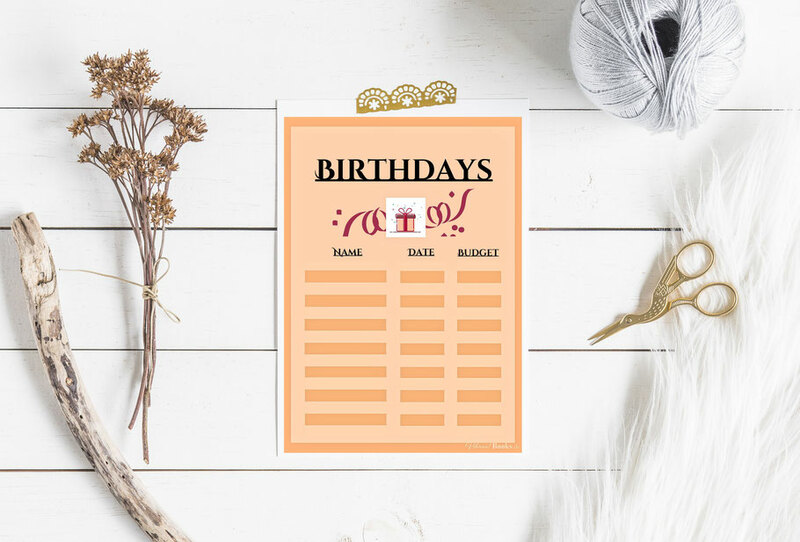 Set a budget for every birthday and stick to it! 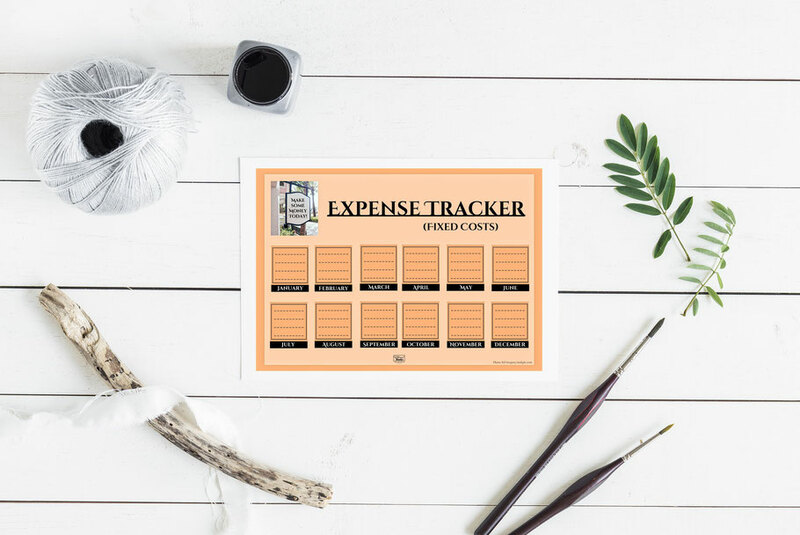 This Expenses Tracker for fixed costs is providing you a great overview! Just fill in insurances, subscriptions and other recurring fees except the monthly ones. Never get surprised by upcoming high costs again! You can use it in the book or print it out and pin it to the wall as A 4 or A 3 - the latter would be perfect! 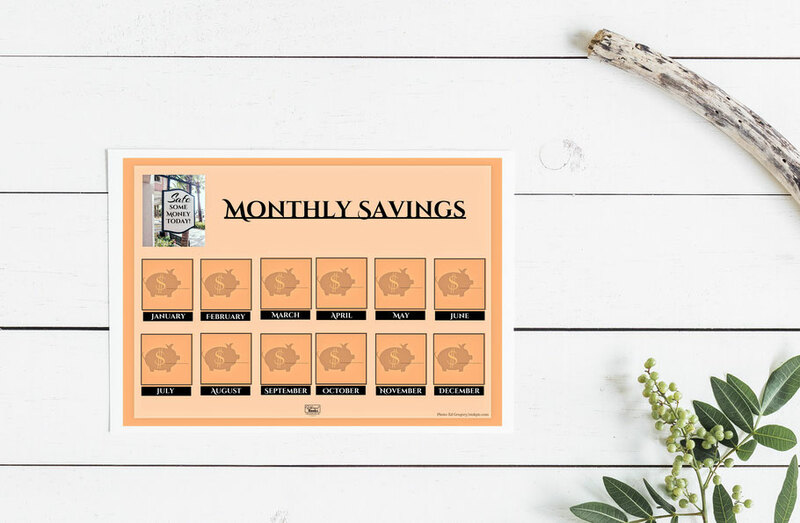 On this sheet you will see your reward for having lived economically all year through. You will find it at the end of the "Vibrant Books' Expense Tracker'. Same content and colors, slightly other design. 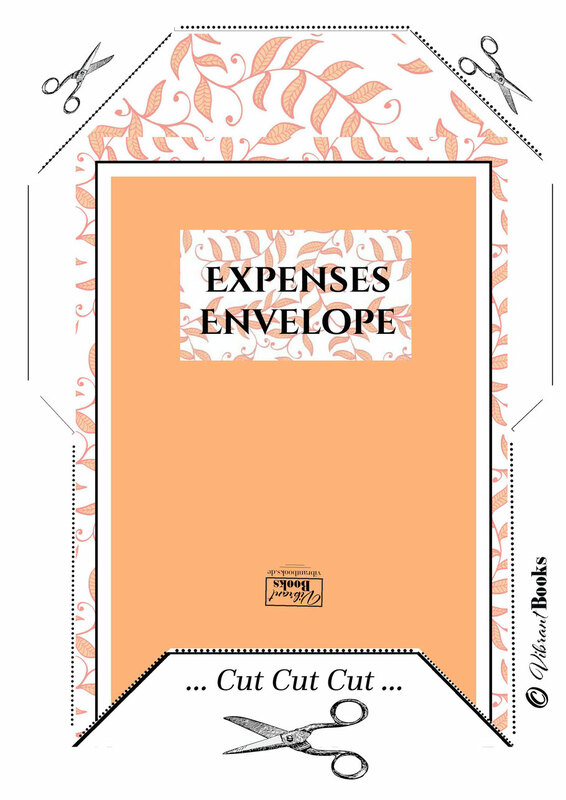 This expense envelope is part of the book 'the vibrant books' expense tracker'. this free download is for everybody, who does not want to cut it out from the book. And for everybody else, who loves this kind of things. Cut out and glue together. 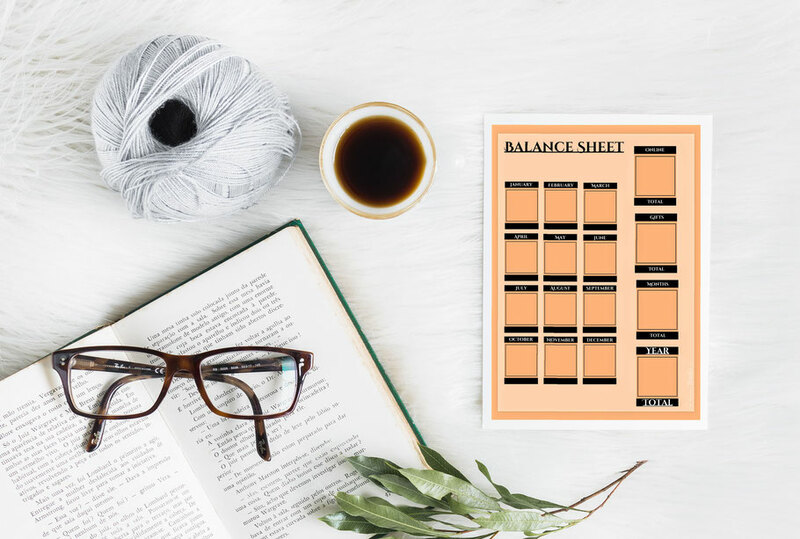 Store your every day's bills in it until you transfer them to the expense tracker. Alle Inhalte dieser Website sind urheberrechtlich geschützt und unterliegen dem Copyright des Vibrant Books Verlag, Freiburg im Breisgau.